FEATURES New modern cut Low Front Neck Modern design options Neck and arm .. FEATURES Ultimate in player performance and style Designed to allow for fle.. FEATURES New modern cut Designed to allow for freedom of movement Modern design .. FEATURES New modern cut V Neck Muscle Modern design options Neck and arm b.. 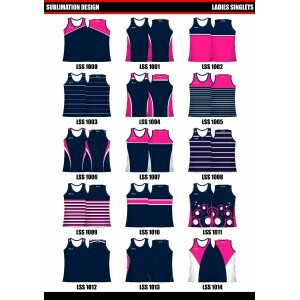 FEATURES Outstanding representative, club or school singlet Full Shoulder .. FEATURES New modern cut Designed to allow for freedom of movement Modern ..